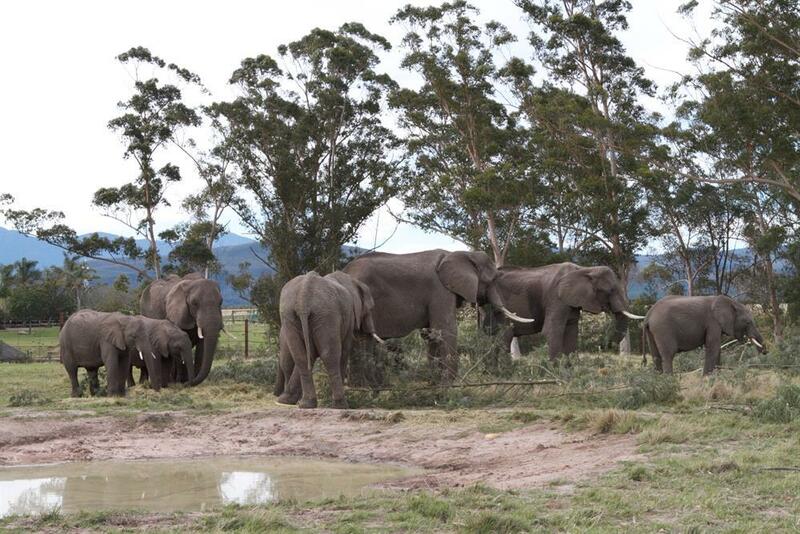 Nine elephants rescued from culling operations were relocated from the Knysna Elephant Park to the Plettenberg Bay Game Reserve, where they will be enjoying 3 000ha of roaming area. Photos: Supplied. KNYSNA NEWS - Knysna Elephant Park management said they did not fear yet another attempt by the National Council of SPCAs (NSPCA) to have claims of animal abuse against them brought before a court. “I say, let them [the NSPCA] come. We have nothing to hide,” park owner Lisette Withers said. This after the National Prosecuting Authority (NPA) confirmed this week that a decision had been made that Withers and four others should be prosecuted for contravening the Animals Protection Act 71 of 1962 (the Act). The NSPCA laid criminal complaints against the park, its management and directors in May 2014 after receiving shocking footage which depicted elephant calves and juvenile elephants being chained, roped and stretched, shocked with electric cattle prods and hit with bull hooks – methods the organisation claimed were used to force the animals into submission. In October last year the director of public prosecution (DPP) in Grahamstown however made a decision not to prosecute. “We [the NSPCA] queried this and was advised in November last year that the DPP remained unpersuaded that the methods constituted cruel treatment and/or caused unnecessary suffering to the elephants,” manager of the NSPCA’s wildlife protection unit Isabel Wentzel said. Wentzel said the national office of the DPP informed her last week that a decision had been made that Withers and four others should be prosecuted for contravening the Act. NPA spokesperson Bulelwa Makeke confirmed the decision. Park owners have however rubbished the claims from the outset and made it clear that the incidents depicted in the footage had taken place in 2008, and had occurred at the hands of colleagues of a handler who was killed by an elephant. Withers said the incident happened at Elephants of Eden in Alexandria in the Eastern Cape – before it moved to the Garden Route and became part of its sister organisation the Knysna Elephant Park – while the park’s manager was on leave. She added that workers claimed their colleague’s spirit told them to take revenge. The staff members involved were subsequently fired. She said while they initially felt vindicated with the DPP’s decision last year, she knew that the saga had not run its course. “I knew they [the NSPCA] will come at us again, but I say let them come,” Withers said yesterday. She added that she had nothing to hide and believed that any court would come to the same conclusion. Wentzel however said one of the reasons the NSPCA had pursued this matter was because it was “important that the case be heard, tried and concluded through our judicial system”. “This needs to be done so that once and for all, there can be clear parameters of what is – and what is not – acceptable with regard to training methods in the tourism industry,” Wentzel said. Withers added that the two elephants injured during the 2008 incident had fully recovered and were doing well. “One of the elephants was recently relocated to a bigger and better home at the Plettenberg Bay Game Reserve and is doing very well. The other one is still with us and is also doing well.